It's a busy busy birthday season! I think everyone has babies in the spring - I can't make cards fast enough for the kids to take to their friends' parties. This one went out the door a few weekends ago for a little boy in Maia's class. 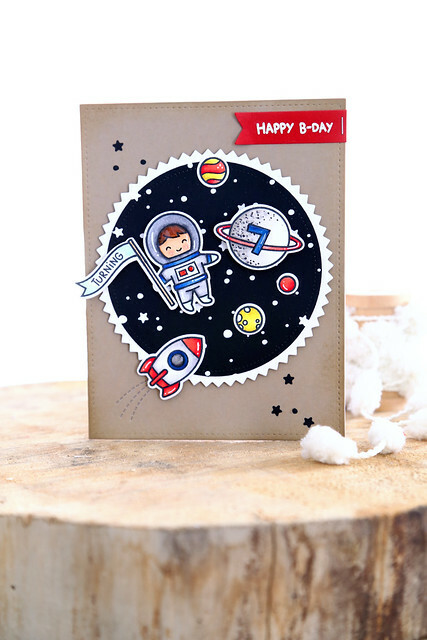 I used Out Of This World for the images and combined it with words from Plan On It: Birthdays. I love that I was able to customize for Alexander's birthday using the number 7 from that set. Instead of inking up a galaxy background, I die-cut a Zig Zag Circle and then layered a black circle cut with the Snowy Backdrop die. 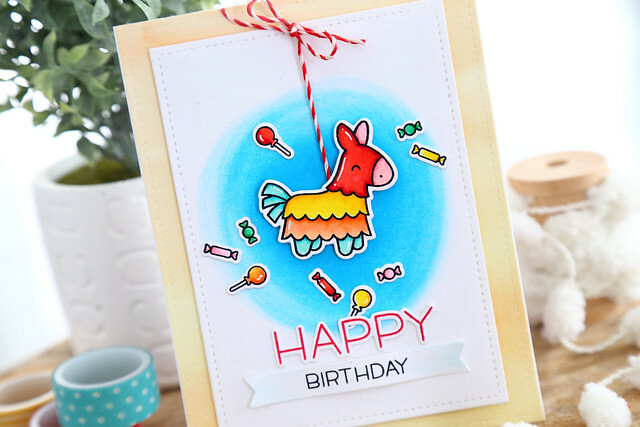 First up, the design team is showing off Lawn Fawn's 7th birthday set! Wowza! I'm so thrilled to be a part of this company for the last few years, and to help celebrate 7 is so great. I rubbed some blue ink into the center of my focal panel, and added all of the Year Seven images right in there. For the sentiment, I reached for another set, Happy Happy Happy. 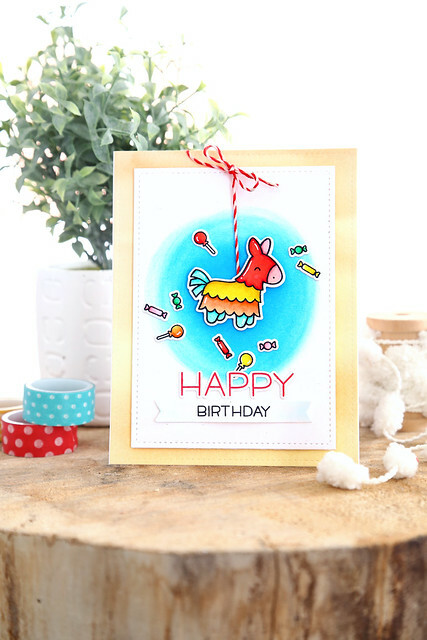 This is a quick and easy card, but so bright and cheery. 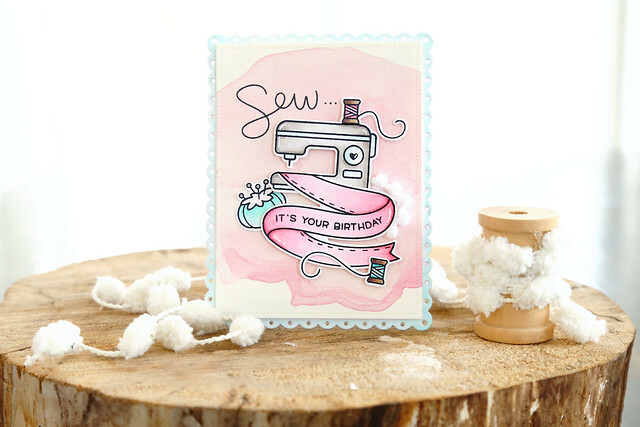 I had a hard time photographing this card, but in real life it is so sweet and pretty. I did some ink rubbing again, in a soft pink and did the embroidering in the middle of that inked oval. I mixed images from Fairy Friends, Hello Baby and Joy to the Woods. I used Smitty's ABCs to spell out the custom sentiment, and kept the card design simple and more graphic. I love the cheering, smiley faced bun. 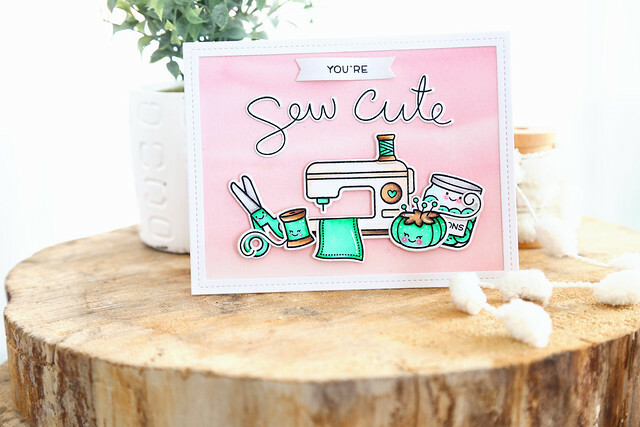 We're kicking off Lawn Fawn's April inspiration week with a closer look at Sewn With Love. 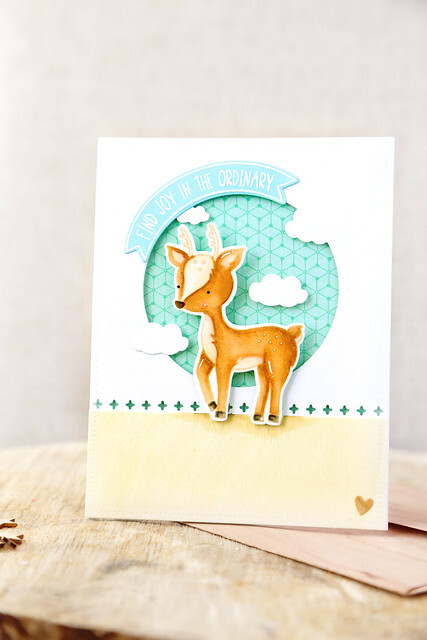 I have 2 cards up on the Lawn Fawn blog this morning. The first one has all of the smiley faces colored in a very vibrant teal, against a pink Watercolor Wishes background. 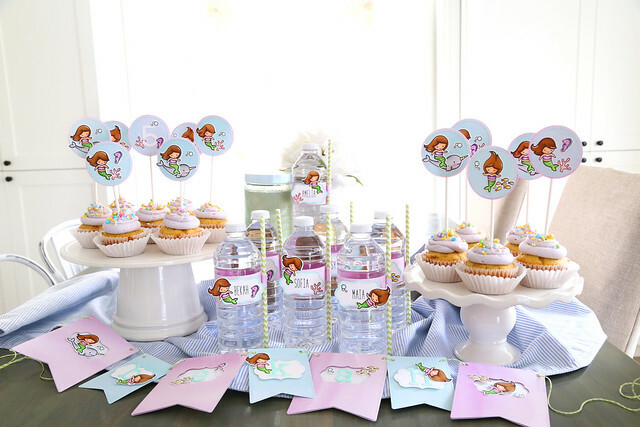 I love the jar of buttons peeking out from behind the pin cushion. 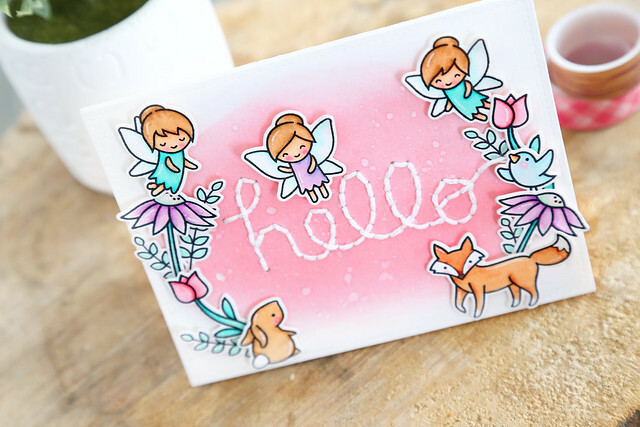 The second is one that I showed off during CHA sneak peek week (you can see the original blog post by clicking HERE.) It's still my favorite, and I have to admit that I was sad to see it go. Sofia picked it for her friend's birthday and I had to stop myself from asking her to pick a different one. I did a quick watercolor on the background and fixed a Bannertastic banner so it looked like it was being pushed out by the machine. Last month, my niece Rebekah turned 5. Her little sister, 1 years old, her twin sisters, 3 months old, and my sister, tired. So I offered to bring the party to their house. 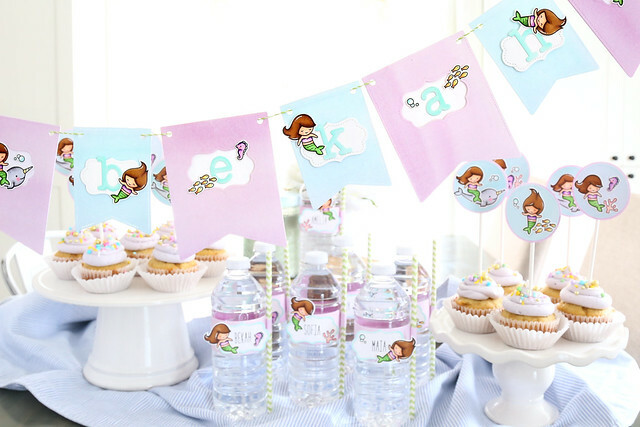 I baked cupcakes, decorated toppers and water bottles, and made a banner. 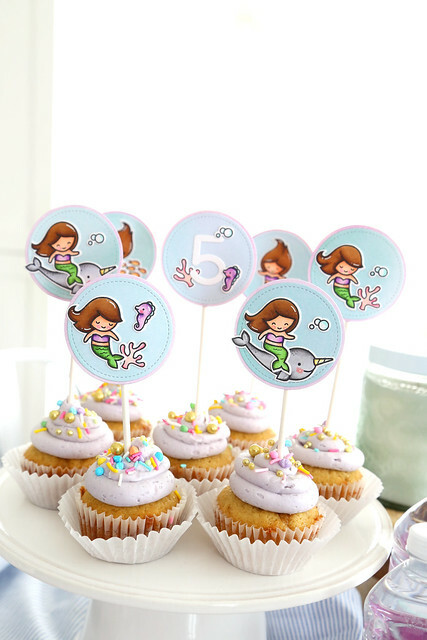 The birthday girl requested purple and blue for her color scheme, and mermaids. 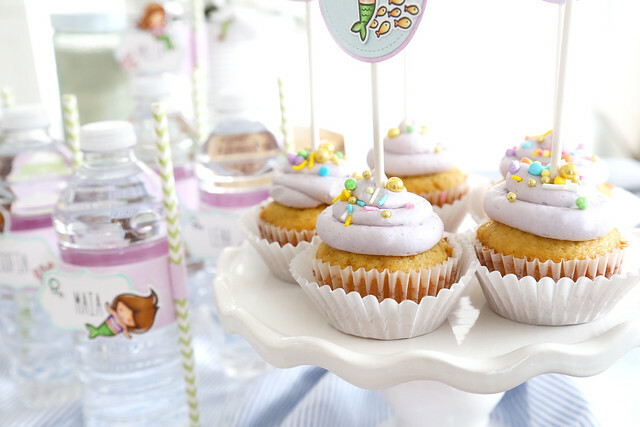 The something blue was brought in with the cupcake toppers. I colored soooo many mermaids. 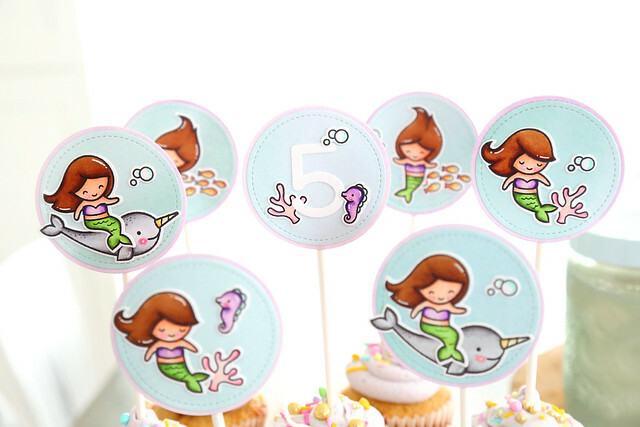 If you are hand-making party decorations like I did, how do you work? I like to do everything in stages. 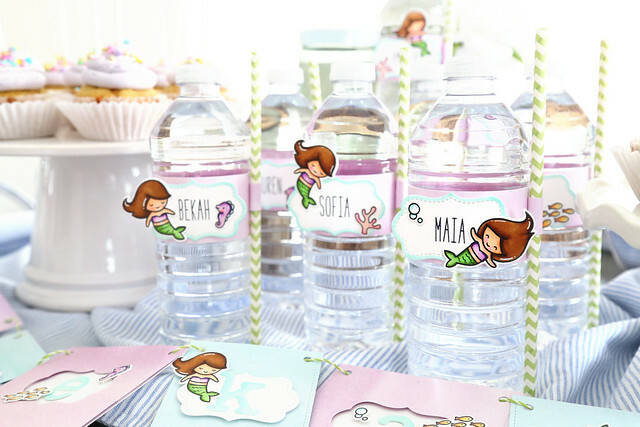 First, batch stamp and die-cut all of the images (I used Mermaid For You images for the entire party.) Another day, I set to coloring. And Netflix binging. I watched a few seasons of Suits while making all of these decorations. Assembly is for another day. To attach the straw, I wrapped a little strip of the same purple paper around the straw and then used a glue dot to secure it to the bottle. Easy peasy, but it looks super cute! 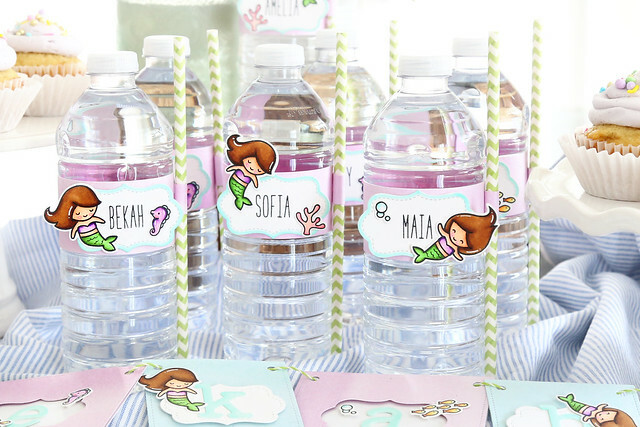 The last thing I made was this banner with Bekah's name going across the panels. A special shout-out to my hubby for holding one end of the banner, while I juggled holding the other side and snapping a quick picture. I'm surprised it's at all in focus. ha. 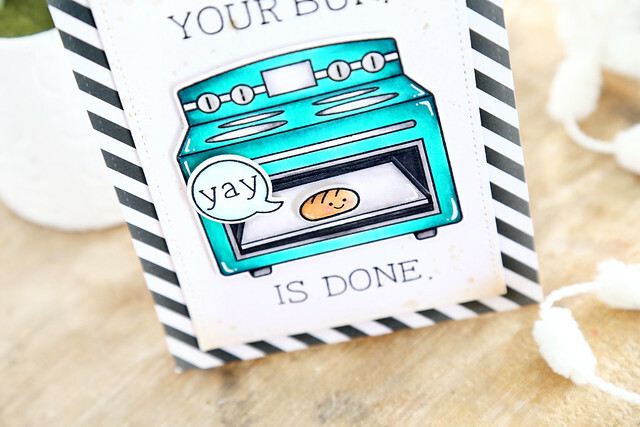 Click on over to see more card photos and read the step-by-step! 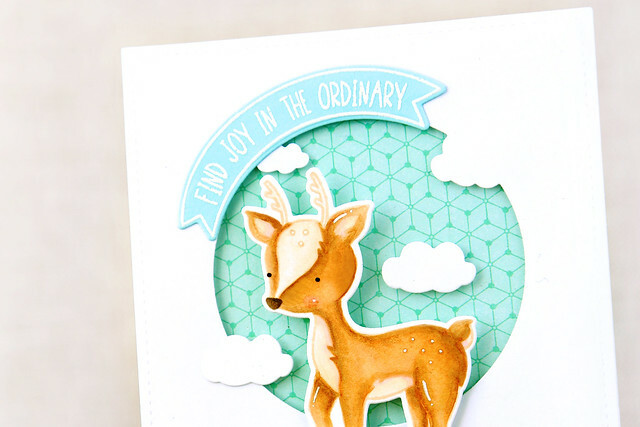 Neat and Tangled is partnering with Et Cetera Papers to bring you some fun inspiration this week! 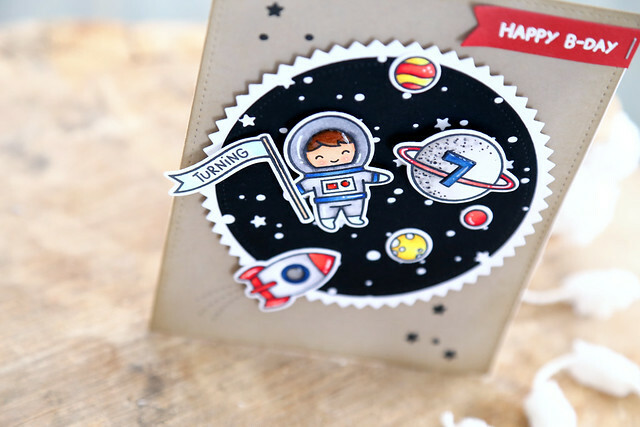 Et Cetera Papers has the coolest wood stationery and envelopes and I've used some of them in today's card. 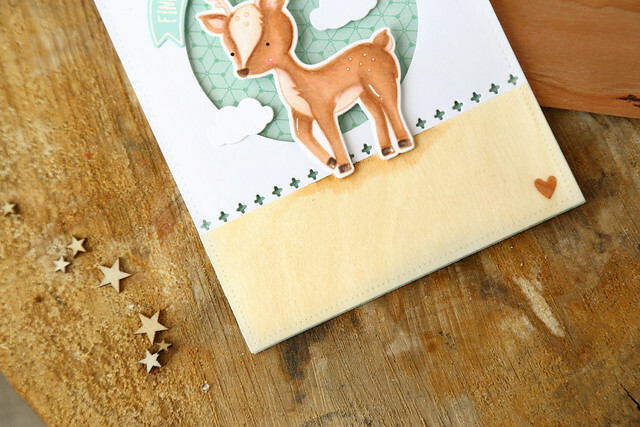 To ground my images, I used their Birch Wood paper, and added a tiny heart with the Cherry Wood paper to bring in the darker brown of the deer, and to match the envelope. The little deer, from Into the Woods, was stamped in a lighter ink and colored with copic markers. I love how soft he looks! 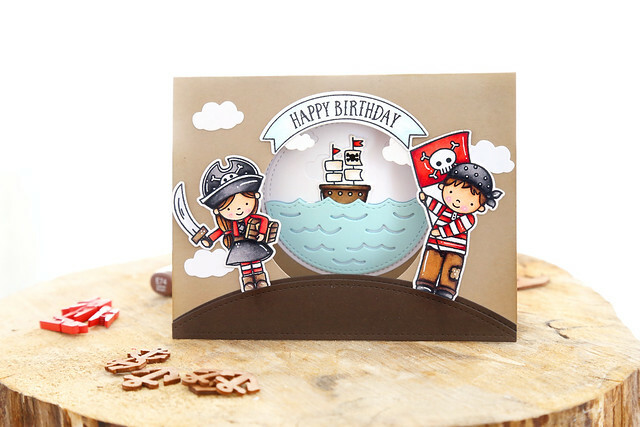 I used the Making Waves die to create an opening for a fun patterned paper sky. 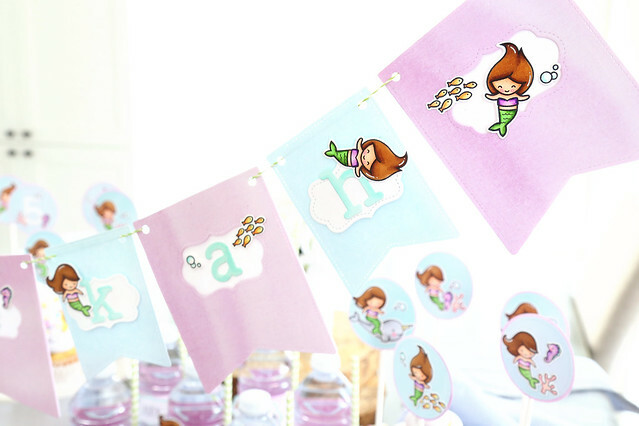 The curved banner is from Mermazing. I carefully (very carefully) snipped away the original greeting so that I could now use the banner more freely. You'll see it again in tomorrow's card! I love how it curves perfectly around the circle. To ground the deer, I die-cut a strip from Tiny Cuts, and darkened the wood beneath his hooves with a copic marker. I hope you like it! 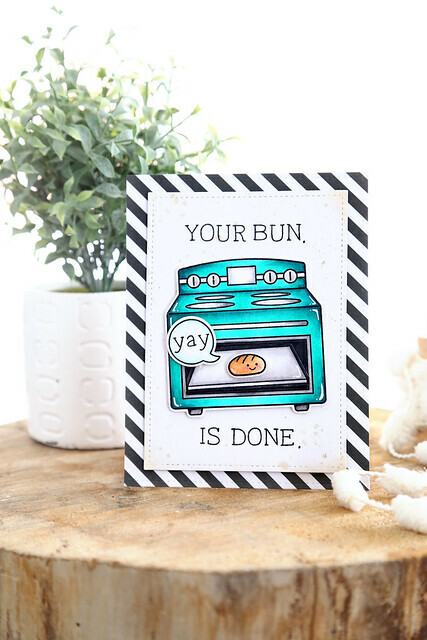 Thanks for stopping by and be sure to leave a comment on all participating blogs this week for a chance to win a prize package from Et Cetera Papers.